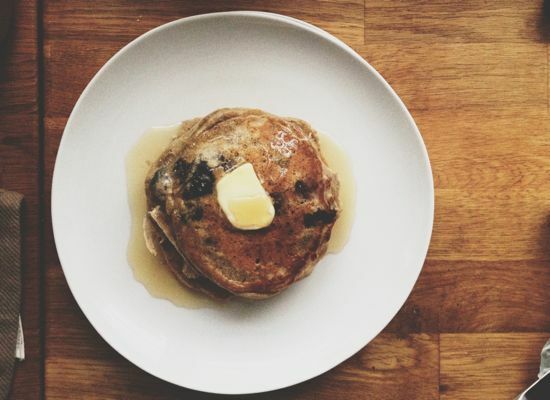 My grandmother died before I was able to fully appreciate her cooking, but from stories my mother has told me, buckwheat pancakes were a staple in her kitchen. I like to think my grandmother would approve of these. Diane Lockward's poem, too, is wrapped in memories, though we don't know it until three quarters of the way through, when the tone shifts. You'll see. First, a celebration of blueberries. Facts and virtues are listed (how they are the fruit of New Jersey, always elegant in desserts), and it's not until the end of the second stanza when the central question is revealed. How does one cope with loss? 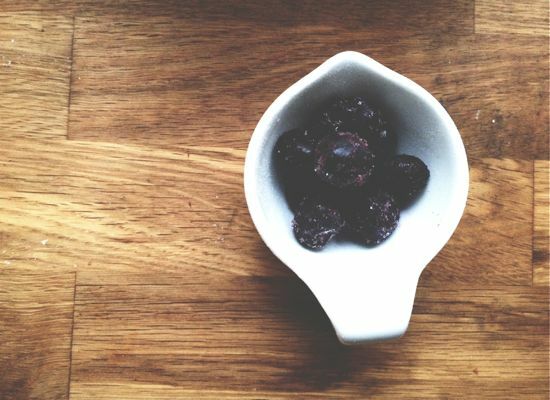 Now, blueberries are not just helpful for urinary tract infections, but the tone has turned deeply personal. The favorite fruit of my mother, she writes. 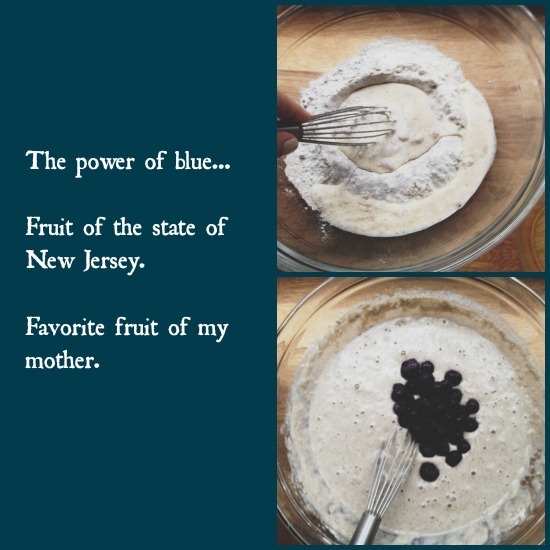 The speaker is suddenly drowning like pancakes in syrup, in memories of her mother, firmly gripping the physicality, the anchor of "that kitchen," the wood of "that table," and the sparkling blueberries that dotted the pancakes mother and daughter made together. We all carry memories like this with us. Even if yours is not about pancakes or breakfast, it's easy to resonate with the emotion of coming face to face with a moment in time and trying desperately to recreate it in a tangible way. That's why cooking is so special. We might not be able to move "the universe in reverse," but we can make the very recipe that acts as a bridge between this life and the next. We can do, we can touch, we can stand at the counter and stir a bowl of batter, and we can eat. After discovering Ellie Krieger's buckwheat pancake recipe a while back, it's become a favorite for breakfast. I used to cover the pan in butter (delicious yes, but I've found oil help the pancakes brown even better), but have taken a liking to brushing the pan with a layer of oil just before cooking. Whisk the dry ingredients together in a large bowl, then whisk the wet ingredients in a small bowl or large glass measuring cup. Make a well in the dry ingredients and slowly pour in the wet, whisking as you go. Be sure not to over mix. Add the blueberries at the end and stir until just incorporated. Heat a large nonstick skillet over medium-low heat for 3-4 minutes. Brush the skillet with oil, then add batter with a 1/4 measuring cup. Cook until the surface begins to bubble and is golden brown. Flip and cook for another 1-2 minutes. Serve with butter and maple syrup.